The Site Information page is where you designate the main contact and reply-to email for your organization. The address fields and email fields will be the default for many tools in DonorSnap including Contribution Statements and email tools. The top 5 lines of the Site Information will pull to the Contribution Statements. 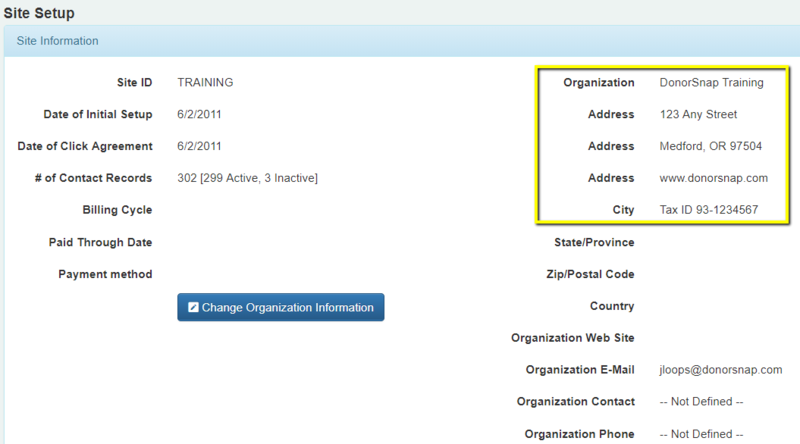 Customize a bit to show more than your address.